I guess I do have a reason to make a post even though I haven't had time to sew. I completely forgot about Quiltcon notifications! I found out yesterday that I will have five, yep five, quilts hanging at Quiltcon East in Savannah, GA this coming February. It was a total shock to have that many quilts accepted. I was thinking two maybe three but never imagined five. It's is such an honor to have these quilts displayed in an international show featuring modern quilting. 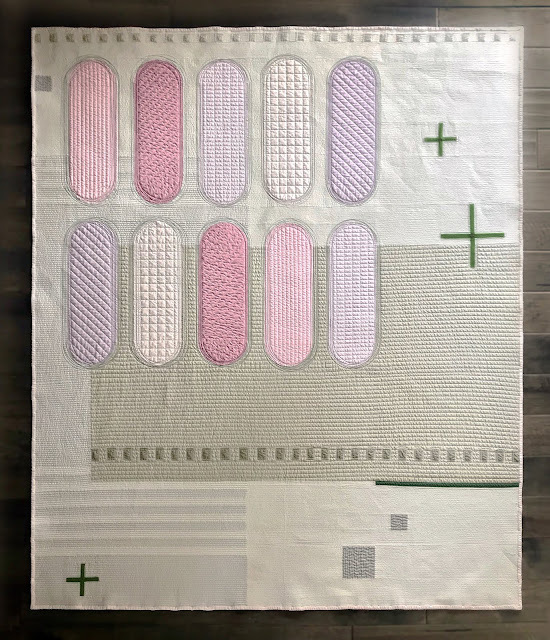 I really appreciate all the opportunities the Modern Quilt Guild have given their members to showcase their work that would typically not have a chance. Speaking of opportunities, one of the quilts above will also be included in some extra Quiltcon fun but more on that later. In total I entered 8 of my own quilts so naturally there were some designs that weren't selected for the show. I also entered our guild banner in the group quilt category that was not accepted. The top two definitely have a similar style and Mt Baker was always a long shot (I still want to work on another photo inspired design). Probably the best part of the modern quilting world receiving their Quiltcon notices is the flood of beautiful quilts posted to Instagram, specifically with hashtags #quiltcon and #quiltconreject. 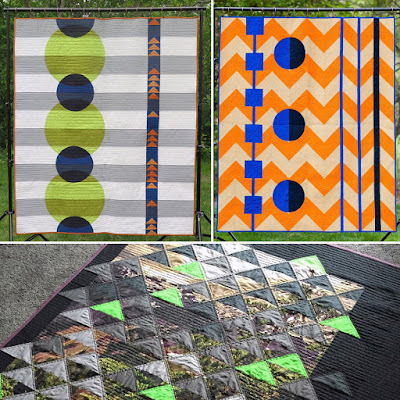 This year the MQG had over 1500 submissions and from the quilts posted so far it must have been very difficult for the jurors to choose what quilts would be included in the show. For me I love making quilts and having a creative outlet that involves so many of my favorite hobbies, e.g. math, graphic design, color play, working with my hands... I also enjoy entering my quilts into shows and the like. I have quilts that are accepted and I have many quilts that are not. I almost forgot about the MQG coffee table book until this week so I looked up the submission deadlines and even though no notices for rejections were sent out notices for acceptances were sent out Nov 15th, I didn't receive any, which is completely fine. The process is still a great experience. Again, thank you for all your support and I hope everyone has a Merry Christmas and Happy New Year! Congrats! Getting 5 in is amazing! They are all beautiful. 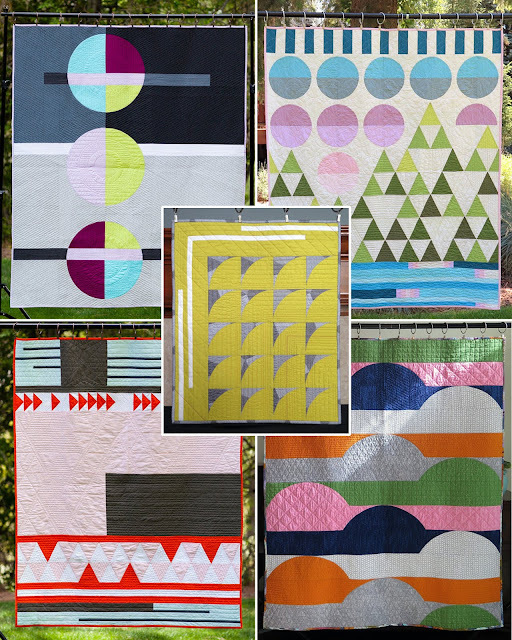 What a lovely group of quilts! Thanks Christa! 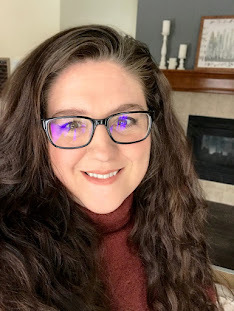 I don't know why it took me so long to find your blog I love your designs and quilting! Congrats on getting 5 quilts into QuiltCon! I look forward to seeing them in person in February! Thanks Cheryl and congratulations on your four quilts getting into Quiltcon. They're all so beautiful! Unfortunately I won't be able to make it to Quiltcon this year but Washington to Georgia is a long trip for a three day weekend.